The undergraduate major in mathematics is an introduction to some of the highlights of the development of theoretical mathematics over the past four hundred years from a modern perspective. This study is also applied to many problems, both internal to mathematics and arising in other disciplines such as physics, cryptography, and finance. Majors begin by taking either Honors Mathematics or the calculus sequence. Students who do not take Honors Mathematics A and B normally take Linear Algebra or Honors Linear Algebra in the second year. Following this, majors begin to learn some aspects of the main branches of modern mathematics; algebra, analysis, and geometry, as well as some of their subdivisions and hybrids (e.g., number theory, differential geometry, and complex analysis). As the courses become more advanced, they also become more theoretical and proof-oriented and less computational. Aside from the courses offered by the Mathematics Department, cognate courses in areas such as astronomy, chemistry, physics, probability, logic, economics, and computer science can be used toward the major. Another requirement for majors is participation in an undergraduate seminar, usually in the junior or senior year. In these seminars, students gain experience through learning an advanced topic and lecturing on it. In order to be eligible for departmental honors, majors must write a senior thesis. 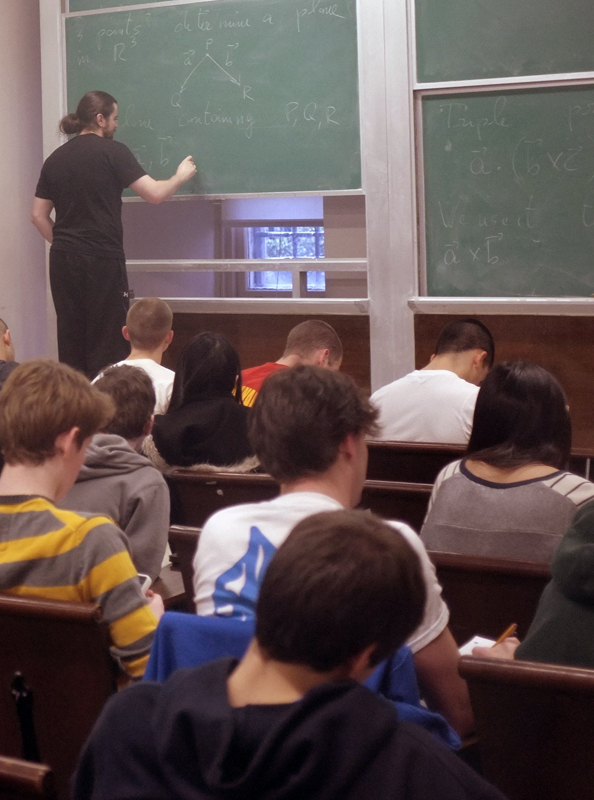 For a detailed explanation of the various ways to fulfill the requirements for a concentration, major, or joint-major in Mathematics at Columbia College, please consult the College Undergraduate Requirements web-page. You may also contact the Departmental Advisers with additional questions.